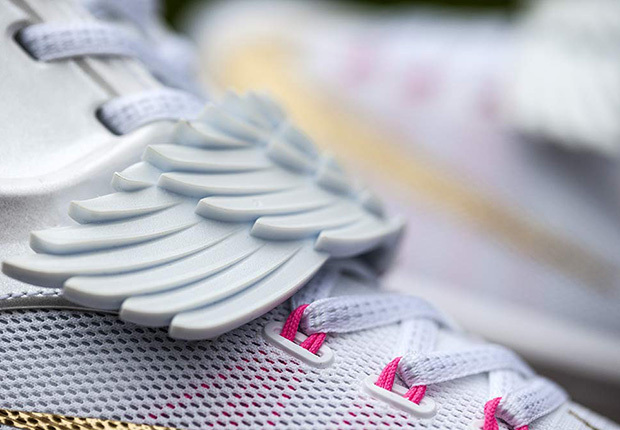 Kevin Durant’s seventh signature shoe fuses performance innovation with a creative narrative across five colorways that are based on the weather. 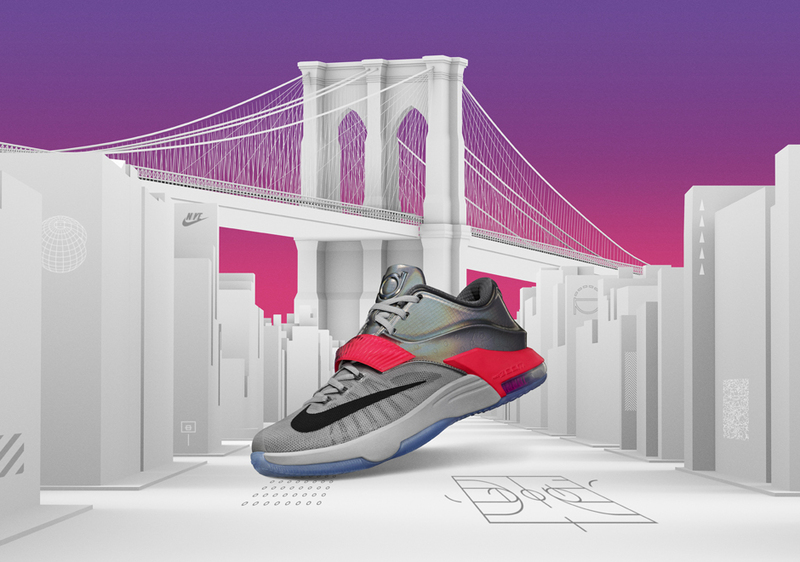 Nike designer Leo Chang created an innovative shoe for Durant that meets the needs of the reining MVP’s quickness, power and unpredictability, just like the forces of nature. 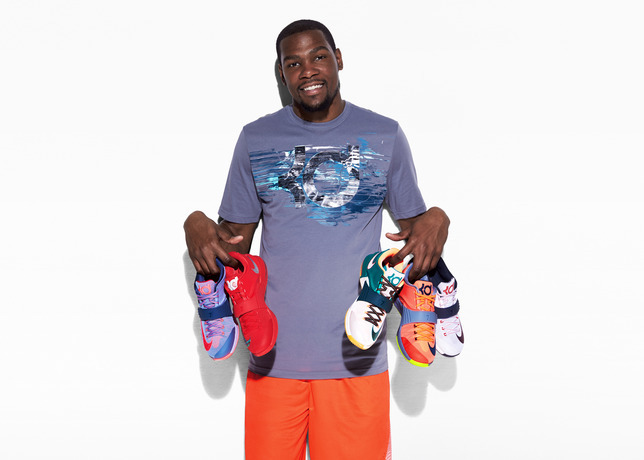 Creatively, Chang brought to life Durant’s on- and off-court insights through color-blocking, graphics and textures to tell stories that are both personal and inspired. As a child, Durant’s fascination with meteorology fueled aspirations of becoming a weatherman. Ironically, Durant was drafted by Seattle, and then the team relocated to Oklahoma City – two cities known for unpredictable weather. The same personal cues are featured on each of the KD7 colorways: a silhouette of his home state of Maryland is embedded on the outsole; and the forefoot strap includes family names: his mother Wanda, his grandmother Barbara, his father Wayne and his brother Tony. 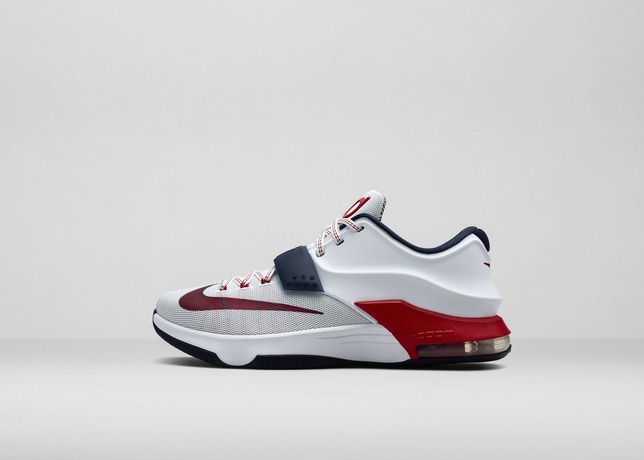 KD7 July 4th: Durant’s love for Independence Day with its fireworks, or “man-made lightning,” inspired this this red, white and blue colorway featuring festive graphics on the tongue lining and Swoosh. Launch: June 26.